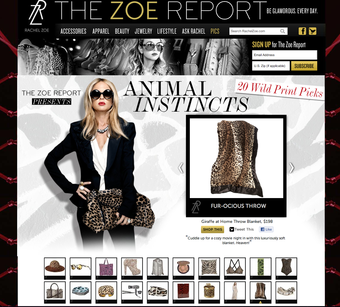 Our "Fur-ocious" Luxe Leopard Throw is featured in today's Zoe Report for Top Animal Print Picks by Rachel Zoe herself! She says "Cuddle up for a cozy movie night in with this luxuriously soft blanket... Heaven!"